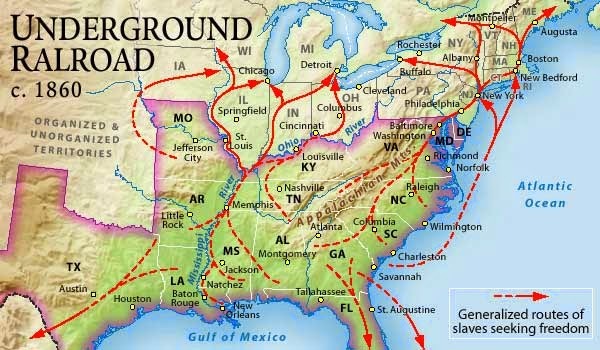 The Underground Railroad: Pacifist or Warlike? Rust: Like Calvinists of old and the modern rationalist-philosopher Thomas Hobbes, we warn the Court of Quaker Opinion of the inherent selfishness of human nature. Abrasive: Whether the "amicable collision" of Shaftesbury's England or the pranksters on the American frontier, basic human incivility is a natural abrasive. Rust: Without a social contract, mayhem rules as anarchy. Much of our culture defines people by their gifts and talents – what you’re “good” at. But, what about the things we’re not good at, or the list a list of the things I am not: not gifted in, have no desire to do, or have no interest in whatsoever. Below is an excerpt from Earlham School of Religion Geraldine Leatherock Professor of Quaker Studies Stephen W. Angell May 9, 2014 ESR Baccalaureate Address. The search image unconditioned and unmediated. Does nature mirror God or does God mirror nature? Even before the saving cross, there was the killing tree. Even before the muck and mire of human existence, there was the dense forest. Even before the sugar daddy or supermom to exploit, there was the giant sequoia trees. PLEASE COMMENT / PARTICIPATE - CALENDAR OF VIRTUES - April 20 - May 20 - "Inner Balance Becoes Progress"
PLEASE POST YOUR COMMENT / PARTICIPATE - CALENDAR OF VIRTUES - April 20 - May 20 - "Inner Balance Becomes Progress"
The Calendar of Virtues is a year-round listing of “Virtues in Transformation” which is linked with a calendar of the natural year. and some seed fell on good ground. The eternal Seed thrives in any condition and under any circumstances. Foundation: Need we point out to the Court of Quaker Opinion the essential foundation of Quakerism? Skylight: Would that be faith and practice, reason or the Bible? Foundation: All of the above. Skylight: Nolo contendere - all known by, and with, the Church's one foundation, who is above your foundation(s). Foundation: So what's the purpose of the skylight? Living in and knowing the sufficency of the thing itself.